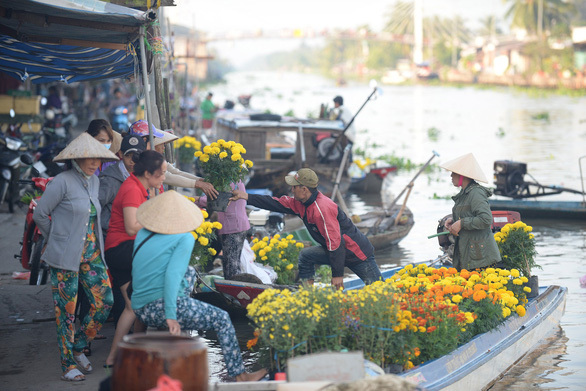 A popular floating market in Soc Trang Province, located in Vietnam’s Mekong Delta, was filled with bustling activities on Sunday as the Lunar New Year was just two days away. 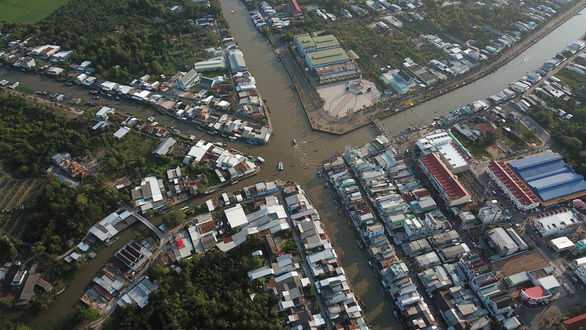  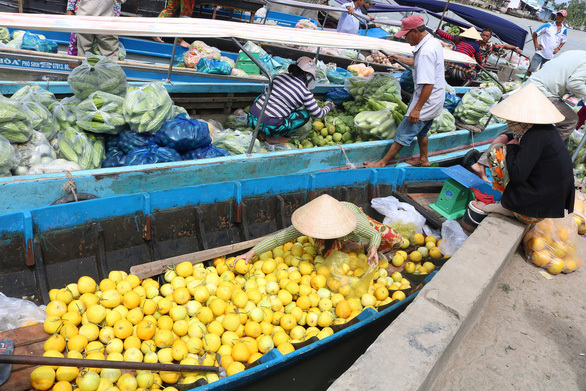 This particular market is named ‘Nga Nam’ as it is situated at the junction of five rivers which lead to five different localities in the Mekong Delta, namely Ca Mau Province, Vinh Quoi Commune and Thanh Tri District in Soc Trang, as well as Long My and Phung Hiep Districts in Hau Giang Province. 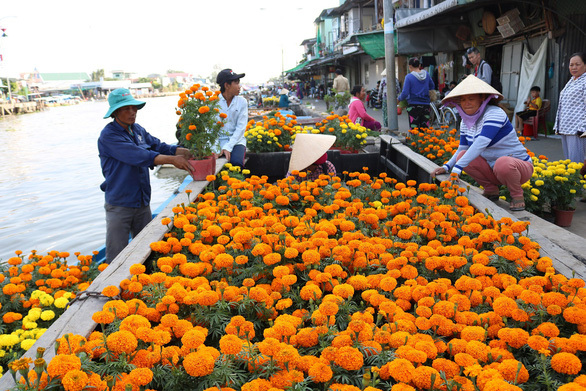 Thanks to its special location, the Nga Nam Floating Market is the meeting point of countless fruit, flower, and veggie sellers coming from various provinces and cities in the region. 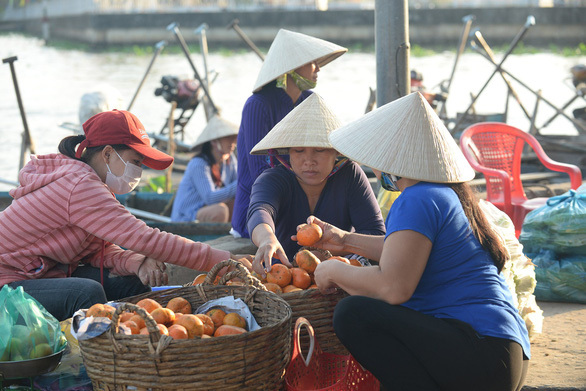 The venue is even more frantic on the last days of this lunar year as merchants try their best to sell as many products as possible before taking a long break for the traditional Tet holiday. 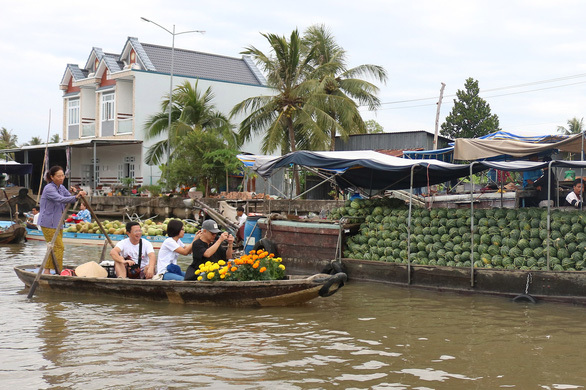 According to the observation of Tuoi Tre (Youth) newspaper on Sunday, the second-last day of the 2018 lunar year, the marketplace was extremely lively and filled with boats, on which people bought and sold all types of fruits and blossoms. 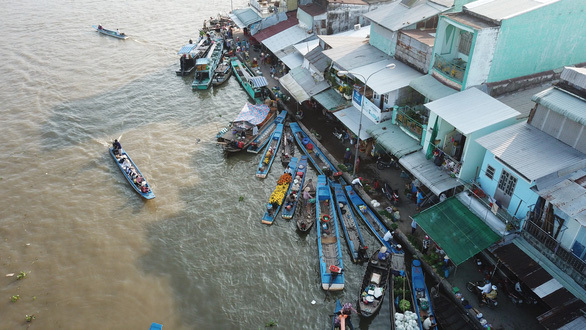 The voices of merchants advertising their products could be heard across the place. 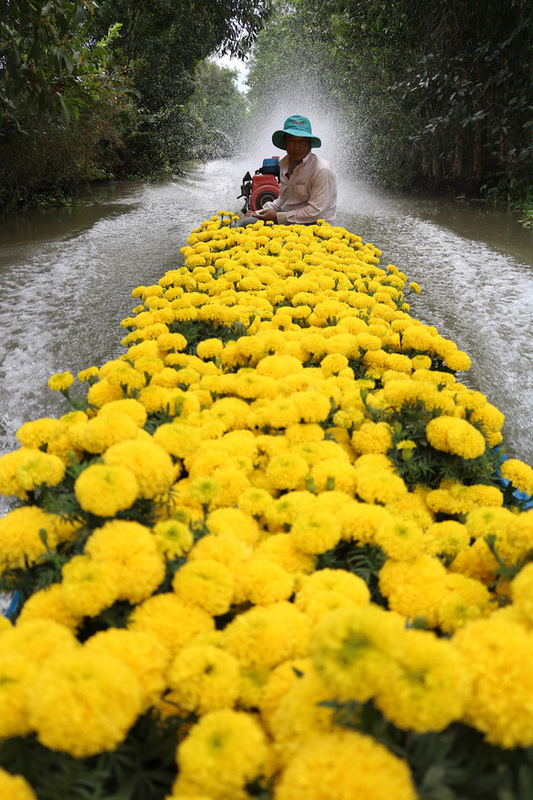 Visitors also had an opportunity to enjoy the unique scenery while buying themselves their favorite goods.